Father Antonio Cruzado's Spanish architectural background. Numerous Franscican priests are entombed in the structure and tens of thousands were baptized there. 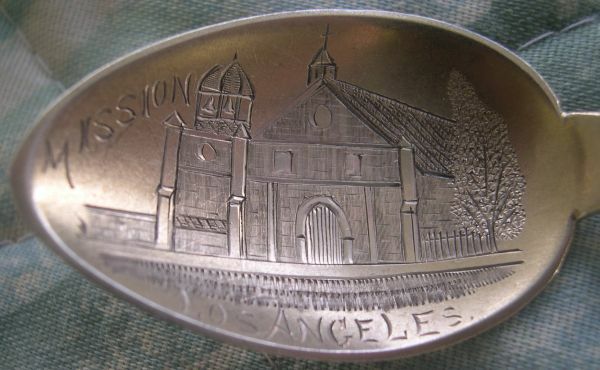 This is the 4th of 21 Spanish missions in California and was and still is a popular tourist attraction. The tall narrow windows and capped buttresses are unique among the California missions. 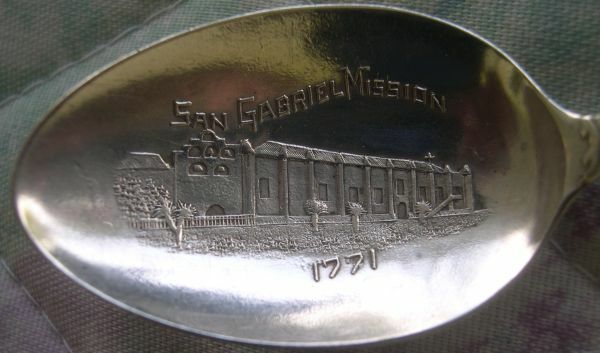 The spoons sometimes refer to it as the Los Angeles Mission and sometimes as the San Gabriel Mission. 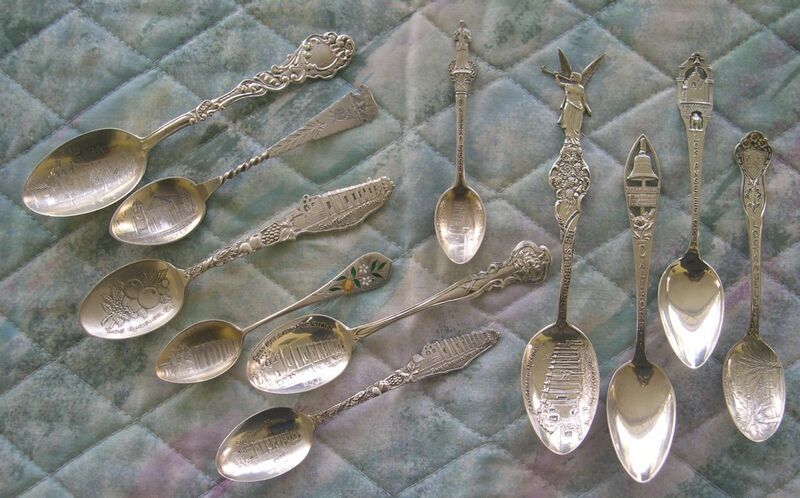 A small sampling of the many sterling spoons from the San Gabriel Mission outside Los Angeles. 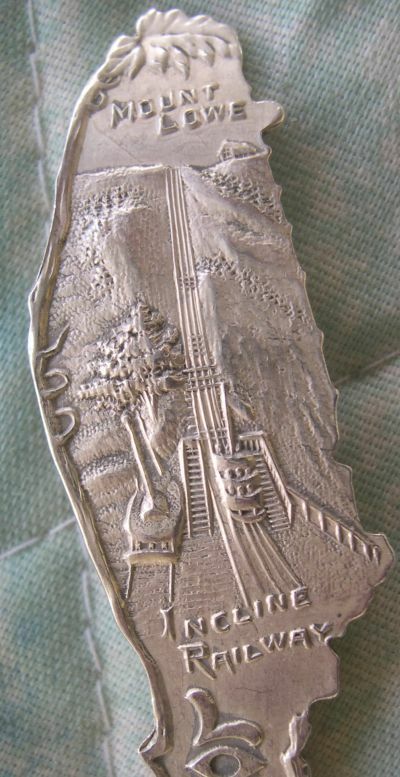 The back of one of these spoons shows the Mt. Lowe incline railway. 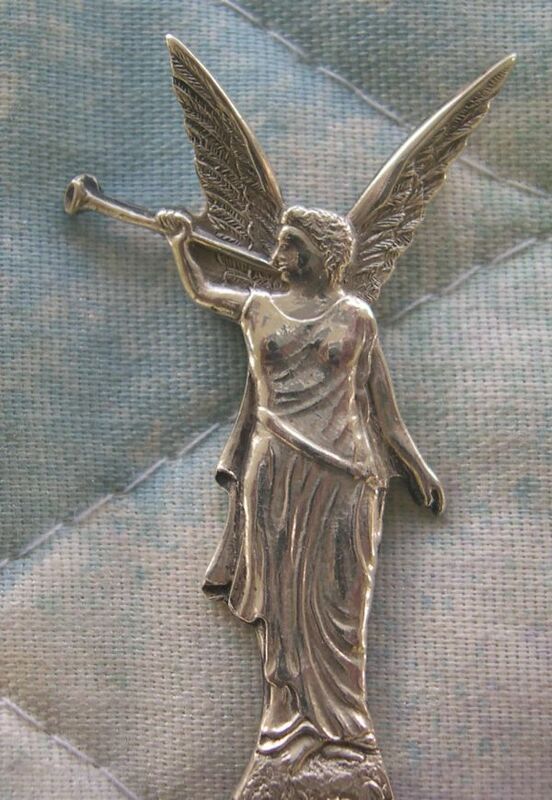 A popular angelic image for Los Angeles, the "city of angels"